Apparently, it is comfortable to play while seated...in classical position. My son was pleasantly surprised. I've had an SGV800 for about 10 years now... Great guitar. 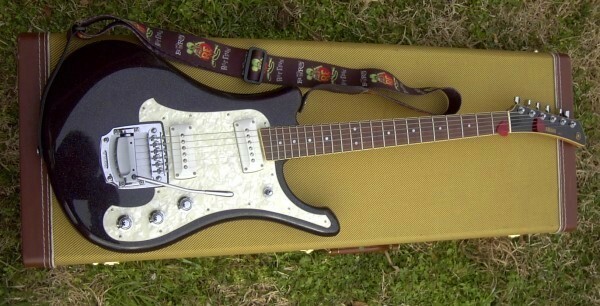 The pickups are more similar to Mosrite pickups, less similar to p90's. And yes, it is super comfortable to play.